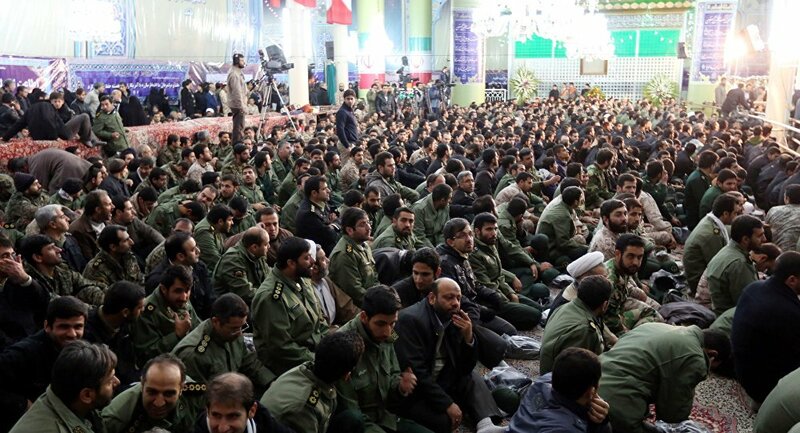 Earlier in the day, US President Donald Trump announced in a press release that his administration would designate IRGC as a foreign terrorist organization. The designation marks the first time the United States has named a part of a foreign government a terrorist organization, according to the statement. In 2002, US Congress passed the War Against Terror Authorization Act, the first of series of measures with that or similar titles, in response to the attacks on 11 September 2001. University of Southern California Professor Muhammad Salimi told Sputnik that the Trump administration seems to believe that by labeling any nation or its agencies a terrorist organization it can exploit the authorization legislation. "By listing the IRGC as a terrorist organization they hope that they can use the 2002 authorization for ‘war against terrorism’ to justify any war that they may wage, claiming that there is already prior authorization for war with Iran and, therefore, they need no new authorization", Salimi said on Monday. The Trump officials had turned to this tactic because they knew both the Democratic majority in the House of Representatives and senior officials in the Department of Defence were opposed to launching a new conflict with Iran, Salimi observed. "John Bolton and Mike Pompeo are taking the US to war with Iran. They know that Congress and the Pentagon are opposed to this", Salimi said. In response to US actions on Monday, the Iranian Supreme National Security Council recognized US Central Command (CENCTOM) as a terrorist organization. The council also accused the United States of being a "state that supports terrorism," according to a statement quoted by the state-run Islamic Republic of Iranian Broadcasting. US Secretary of State Mike Pompeo in a press briefing on Monday said that the newly announced designations will complicate cooperation between EU firms and Iran. University of Maryland Professor and Iran affairs historian William Beeman told Sputnik that the US government will try to exploit the move in other ways. "This designation might serve as an excuse to try and impose further sanctions on Iran or to pressure other nations to do so", he pointed out. "The United States will use this designation as a talking point to try and convince them to follow suit". 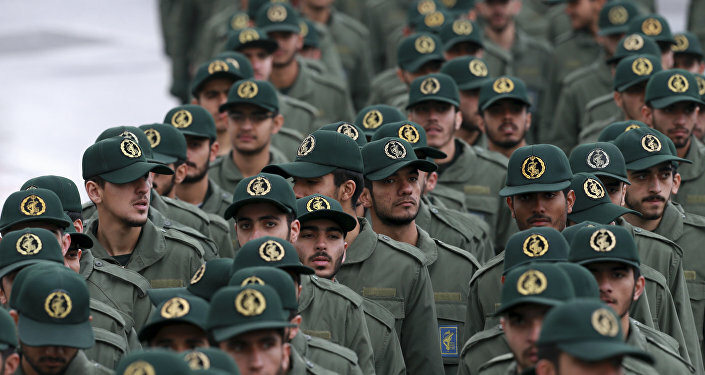 However, only Israel and Saudi Arabia were likely to agree with the Trump administration’s new terrorist designation for the IRGC, Beeman advised. "Everyone in the world knows that this is a stunt. The Iraqis have explicitly told the US that they would continue their relationship with Iran. China, India, Russia and many other countries will continue to trade with Iran and will shrug this off as merely political", he said. The new measures will have no actual effect on the IRCG, which is already under heavy specific US sanctions, Beeman argued, hence the move is largely symbolic. Trump had also made a false charge in trying to blame the IRGC with US casualties in Iraq suffered during the second Bush administration after US occupation in 2003, Beeman emphasized. "The ‘excuse’ that Iran had something to do with US military casualties in Iraq during the Bush administration is completely discredited. But the Trump administration has decided to use these false charges as an excuse to impose this design", Beeman said. Beeman noted that Israel was holding its general election on Tuesday, the day after Trump announced his action against the Revolutionary Guards. The move should therefore also be seen as an attempt to help his close ally Israeli Prime Minister Benjamin Netanyahu win reelection, he said. Netanyahu's Likud party and ex-army chief Benny Gantz's Blue and White alliance are in a tight race on the eve of Tuesday’s parliamentary elections, according to a Channel 13 poll.